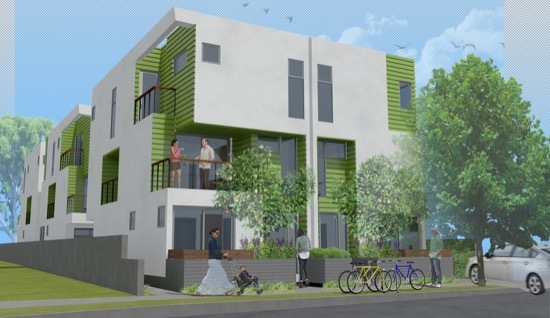 This project consists of six homes utilizing the Los Angeles Small Lot Subdivision Ordinance. 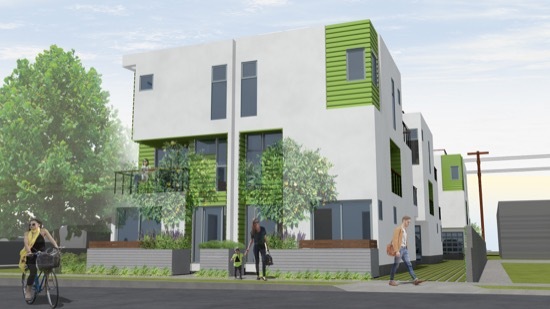 With its close proximity and view to Barnsdale park and also the Hollywood hills, this six unit Small Lot Subdivision aims to open to the outdoors and frame views from each floor. From each balcony one can see beyond to another balcony on the same unit, then ultimately out to either Barnsdale park or the Hollywood Hills. This repetitive visual of the outdoors is a way for homeowners to be encouraged to go outdoors and become part of the community.